For some consumers considering bankruptcy, income tax debt plays a significant role in their financial struggles. Often, quick overviews of the bankruptcy process list tax debts among those that cannot be discharged in bankruptcy. The reality is a bit more complicated. 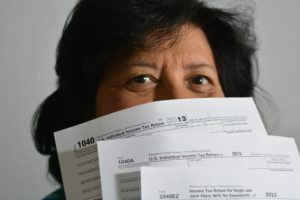 While this timeline is straightforward in many cases, it can become complicated if the tax return wasn’t timely filed, an extension was granted, or some intervening event such as an audit or amended return delayed the assessment of the tax. Tax debt may also be excluded from discharge if the bankruptcy court finds that the taxpayer committed fraud or tax evasion. If you have old tax debt and are unsure whether or not it could be discharged in Chapter 7 bankruptcy, an experienced bankruptcy attorney can help. While not all income tax debt is dischargeable, many people with large outstanding tax debt manage that debt by including the taxes in a Chapter 13 repayment plan. The plan spreads out payment of past-due debts, including some tax debt, over three to five years. If the tax debt does not meet the requirements for discharge, the debtor must pay 100% of the debt through the Chapter 13 plan. However, if the debt is dischargeable, then a portion of the debt may be discharged upon successful completion of the plan. The options for managing unpaid tax debt vary based on the age of the tax debt, the timeline from filing of the tax return to the filing of the bankruptcy petition, and more–including the debtor’s general eligibility for Chapter 7 or Chapter 13 bankruptcy. Schedule a free case evaluation to learn more about how you may be able to eliminate, reduce, or manage your outstanding income tax debt through bankruptcy.